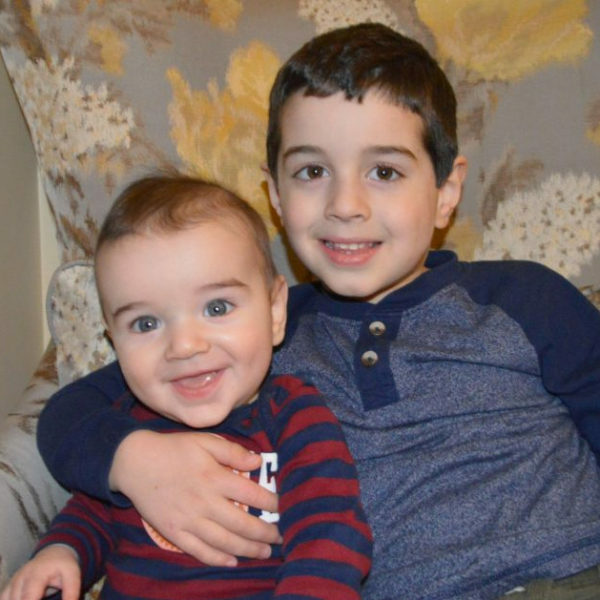 In January 2013, Peter was 2 and had a new baby brother, when he suddenly became very ill due to a rare blood disorder called HLH. A few months later, he also developed severe aplastic anemia. As a result of these diseases, he required significant treatments (steroids, chemo, and other drugs), relied on weekly blood and platelet transfusions for almost a year, and was extremely susceptible to infections. He was then transferred to Duke University Hospital in January 2014 to undergo a bone marrow transplant from an unrelated donor. Peter spent 8 months in North Carolina away from his home, family and friends as he continued to fight and recover from the transplant, all the while staying on isolation to reduce the risk of infection. In September 2014, Peter came back home and resumed care back at Georgetown Hospital. In the spring of 2015, Peter was well enough to discontinue all medications and lift all isolation restrictions. Later in 2015, he welcomed another little brother and in 2018, a little sister joined the family. He is an excellent big brother to them all! Peter is now 8 years old, is a great 2nd grade student, and has been extremely healthy with no notable issues in the past few years. We are so grateful Peter is doing so well. We also thank JUST TRYAN IT (and all its race participants and donors!) for all the support we received during his illness and recovery.